Did you know that the motto for Skibbereen is What You Seek is Here? Quod Petit Hic Est. This is the inspiration for a community based, family friendly arts event. Find out more on Monday 13th June at Skibbereen and Community and Family Resource Heron Court premises. 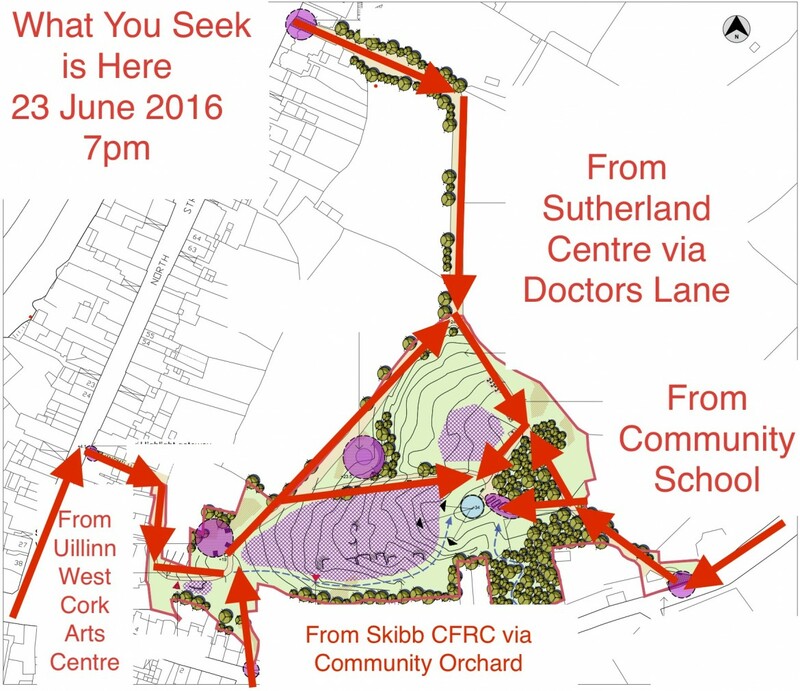 Open Door 5pm – 7pm & Public Meeting 7pm – 8pm. We need the people of Skibbereen to come out on this special day as walkers, leaders, sounders, stewards, photographers. Put it in your diary and on Thursday 23 June go to your nearest assembly point. Wear high viz gear if you have it and bring along something to make some noise – pots, pans, homemade and musical instruments.